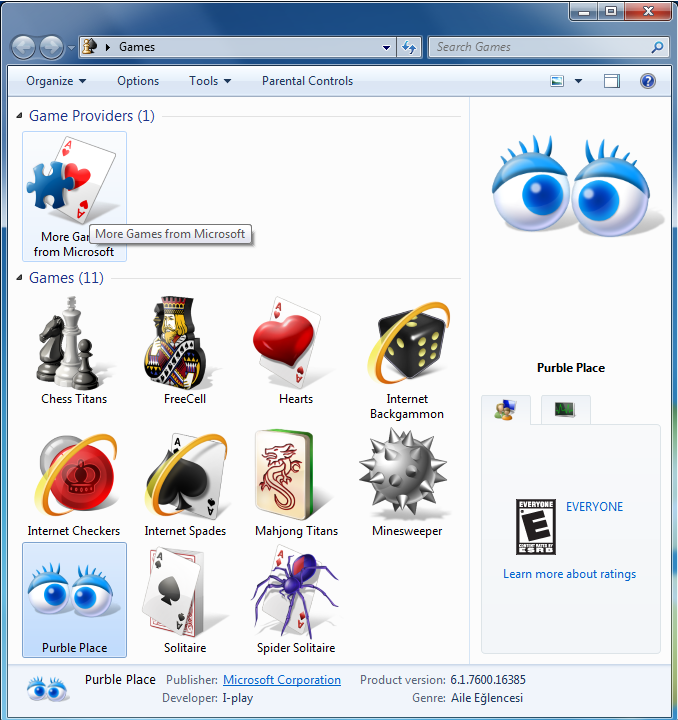 Windows 7 games menu contains a group of small and basic games for Windows 7 users. I'll try to set here the list of new Win7 games and a screenshot from each Windows 7 game. Microsoft has released the new client operation system Windows 7 RTM edition to MSDN and TechNet Subscribers and Microsoft Partners. Soon Windows users will be able to buy the new Windows 7 from markets. If you have downloaded and tested the Windows 7 CTP versions or the RC (Release Candidate) versions of Win7, you have then find the chance to play with the new features of Windows 7. Let's start with displaying the list of Windows 7 games shipped with release to manufacture (RTM) version of Windows 7 Ultimate Edition. 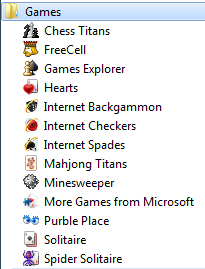 You can also browse for more Windows 7 games for playing online with your game partners over the internet using the Game Explorer link supplied by Microsoft.